In an article featured by British newspaper the Guardian, the issue of OEMs "squeezing ever-increasing amounts of cash out of the poor consumer" is highlighted, particularly the complaint from many that OEM-branded ink cartridges run out of ink too quickly. The article investigates the two Epson cartridges – the T032 color cartridge released in 2002 and the T089 released in 2008, and points out that the amount of ink in the cartridges has reduced from 0.54 oz to just 0.12 oz due to a reduction in the size of the ink tank. 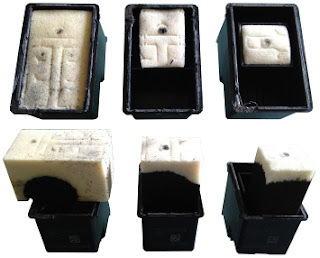 Similarly, when observing the insides of HP ink cartridges it appears that the sponge holding the ink has reduced in size, meaning that many of the newer cartridges consist of mostly empty space, as found by HPinkcartridges.co.uk in May last year. Commenting on the issue, The Recycler’s David Connett said: "The strategy has been to nudge the consumer towards a high frequency of purchases. The big printer manufacturers have reduced the amount of ink in a cartridge, encrypted the chip technology, and used aggressive marketing tactics to discourage refills." The Technical Director of UKCRA Chris Brooks agreed, adding that "the big printer companies do all they can to squeeze ever-increasing amounts of cash out of the poor consumer in exchange for less ink". Color cartridges in particular are said to be poor value for money, with Martin Dyckhoff, Store Owner of Cartridge World in Aylesbury, explaining: "They’re very bad value because when one of the three colors runs out the entire cartridge stops working. We always recommend people buy a printer with a separate cartridge for each color." The article goes on to cover the emergence of a new size of cartridge, labelled by OEMs as "XL", which appear to be the same size as regular cartridges but hold significantly more ink and can cost almost twice as much. However, it is noted that "some makers’ XL cartridges may contain less ink than standard cartridges issued a few years ago", with Environmental Business Products’ Patrick Stead commenting deeming them an "insult" to the consumer: "HP sells half-full cartridges, then sticks an XL on, fills them up, and sells them for even more money. The difference in manufacturing costs is pennies. It’s a shocking rip-off." It is thought that these OEM tactics are a result of them losing market share over the years, with competition from remanufacturers, which have won a nearly third of all sales, as well as Asian clones contributing to falls in OEM sales and Brooks commenting that "the big three [OEMs] have seen a year-on-year erosion of their market share. They had to do something drastic." However, the OEMs deny that they are doing any wrong, with a statement from HP claiming that "focusing on any single factor such as the point of purchase, the up-front cost of the cartridge or printer, the cost per page, or the ounces of ink in a given cartridge is not an accurate way to measure the cost of printing", adding that the cost per page of printing should be focused on. Epson meanwhile argues that advancement in technology has meant that print heads have become more efficient over the years and that consequently "they are able to produce a greater number of pages with an equivalent amount of ink". However, Brooks responded to this by noting: "These improvements cannot justify a five-fold decrease in the amount of ink in a cartridge. The cost of printer ink is the lowest it’s ever been, a few dollars for a gallon. Many cartridges cost less than $0.80 to make. The mark-up is enormous. The consumer is paying far more pro-rata today than a decade ago for cartridges containing very little ink." Joining the ranks of Canon, Xerox, Ricoh, Dell, and Lexmark, Epson has signed on to register for the Electronic Products Environmental Assessment Tool (EPEAT), for EPEAT’s newly created category for digital-imaging devices. The EPEAT registry now includes printers, scanners, copiers and MFPs to help companies, governments and consumers compare and purchase greener imaging equipment. The expanded registry now includes a number of Epson MFPs and large format printers, with Epson stating it will add more devices as EPEAT deems them compliant with its environmental requirements, which take into account numerous eco-friendly criteria, including energy consumption, product packaging, materials usage, and more. "Epson’s inclusion in the EPEAT registry underscores a longstanding commitment to environmental responsibility and performance," commented Colin Donahoe, director of business imaging at Epson America. "We have already registered a number of devices with EPEAT based on their environmental criteria, and Epson worldwide is working to continually expand the number of devices on the EPEAT registry to make it easier for consumers and organizations to identify and purchase greener printers." To be added to the EPEAT registry, an imaging device must meet at least 33 required environmental performance criteria that were developed during a four-year stakeholder consensus process that involved hundreds of representatives from the environmental, research, governmental, and manufacturing sectors. 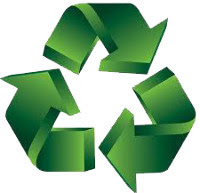 EPEAT rates products on a life-cycle basis, addressing the elimination of toxic substances, the use of recycled and recyclable materials, their design for recycling, product longevity, energy efficiency, corporate performance and packaging, among other criteria. More information is available at www.epeat.net. "I’m pleased to count Epson among the pioneers of EPEAT’s new Imaging Equipment category," commented Robert Frisbee, EPEAT CEO. "As a founding manufacturer, Epson is forging a path toward a world filled with greener options for imaging equipment and multifunction devices." More than 533 million EPEAT-registered products have been purchased since the original PC/Display rating system debuted in July 2006. According to EPEAT, the availability of these products has contributed to the elimination of greenhouse gas emissions equivalent to 11 million U.S. vehicles' annual impact, reducing more than 394,000 metric tons of hazardous waste and solid waste by nearly 167,000 metric tons. This reduction is equivalent to nearly 86,000 U.S. households' annual waste. EPEAT is a global registry for greener electronics, and is headquarter in Portland, Oregon. The registry includes the products from a broad range of manufacturers and wide array of countries. EPEAT combines comprehensive criteria for design, production, energy use and recycling with ongoing independent verification of manufacturer claims. More than 533 million EPEAT-registered products have been sold worldwide since 2006, resulting in significant environmental benefits. EPEAT was developed through a stakeholder consensus process and is managed by the Green Electronics Council, a non-profit organization based in Portland, Oregon. For green Epson printer cartridges visit our webstore. PowerVip has drawn up a list of predictions for the remanufacturing industry over the coming year, based on the evolvement of economic variables, the views of suppliers and customers and the company’s own perception; with the company claiming that after enduring a number of difficult transitions, those in the remanufacturing business "will become stronger". The revenues downfall of OEMs due to the outbreak of new technologies causing a decrease in printing demand will have a “proportional and direct influence” on the remanufacturing industry, predicts PowerVip, with the economic crisis also expected to speed up the reduction in traditional printing demand due to more unemployment and "less general activity". However, the company suggests that even if the economic crisis had not emerged, a decline in the remanufacturing industry would have been likely as part of a natural process following its geometric growth during the 2000 decade; and predicts that "between 2% and 5% of the remanufacturing enterprises will disappear". Also predicted by the company is that OEMs will continue to undertake legal actions during the business drop process, with their objectives changing according to their financial position: "In the good times, their purpose was selling and acquiring more market share. In the crisis times, their objective is to cushion the falls". The importation of clones by recyclers is estimated to continue in order to gain better profits "or just for survival", despite increasing OEM legal action, causing more industry distortion. PowerVip also says that cartridge quality problems will continue, although to a lesser degree than the past decade. PowerVip concludes that as a result of these issues, investment in the remanufacturing industry is likely to be discouraged, and many businesses will merge or even close, particularly as bank loans are unable to be paid. However, should businesses learn to deal with the issues, PowerVip says that they should emerge from the year in a stronger position. Visit our web store for OEM or remanufactured printer supplies. Toshiba America Business Solutions, Inc., a managed document services (MDS) provider and business printing solutions innovator, has received Better Buys for Business’ 2012 Innovative Product of the Year award for its e-STUDIO2550c and e-STUDIO2551c multi-function products (MFPs). Better Buys for Business is one of the nation’s leading independent authorities on document imaging equipment and presents its annual Innovative Product of the Year to the best products within a respective product category. All of last year’s Better Buys for Business’ Editor’s Choice award winners were considered for the 2012 Innovative Product of the Year award. Toshiba’s e-STUDIO2550c and e-STUDIO2551c MFPs are recognized for producing vibrant documents with an up to 600 x 1,200 dots-per-inch resolution and superior performance within a compact and lightweight design ideal for small to medium-size businesses. In addition to its exceptional image quality, paper handling, finishing options and ease-of-use, the MFPs’ low-impact and eco-conscious design is sure to reduce users’ power bills by consuming a mere watt while in energy savings mode. "We are certainly honored to have such a respected organization as Better Buys for Business recognize our e-STUDIO2550c and e-STUDIO2551c series as the Innovative Product of the Year," said Joseph Contreras, director of product and solutions marketing for Toshiba America Business Solutions, Inc.
"Our intent with the launch of the e-STUDIO2550c and e-STUDIO2551c was to provide smaller businesses with the image quality and high-performance levels found in higher-priced MFPs at a fraction of the cost that is more in line with many of today’s technology budgets." "While our staff received many exceptional products, we were impressed with the image quality and high-performance levels available within the e-STUDIO2550c and e-STUDIO2551c," said Melissa Pardo-Bunte, editor at Better Buys for Business. "Such functionality is traditionally only available in an enterprise-level device. However with the availability of the e-STUDIO2550c and e-STUDIO2551c, Toshiba is now outfitting smaller businesses with full-featured MFPs within a compact – yet sturdy design, all at an affordable price."